The kids and I checked out Science Sleuths Friday at the Urbandale Public Library. 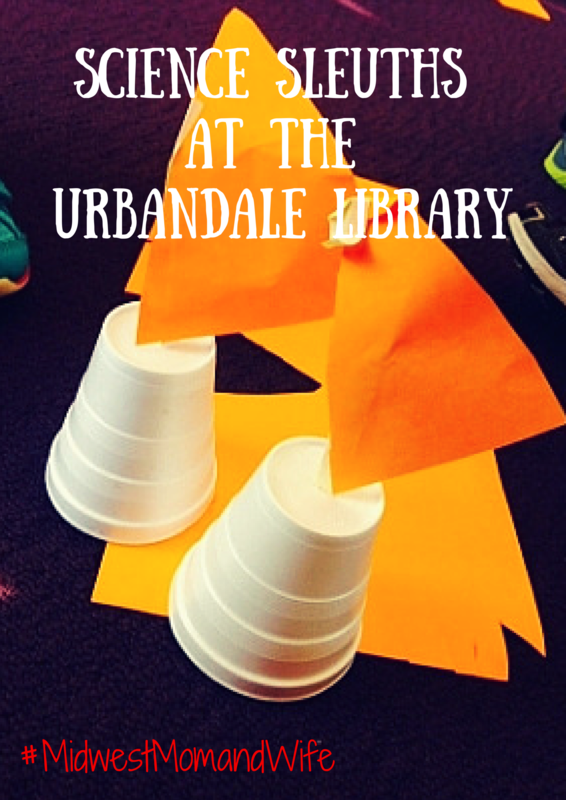 The Urbandale Public Library has become one of our favorite hang outs this winter. They have so much to offer! On the second Friday of every month, they offer Science Sleuths. This is a half hour program, that takes place in the story room. Each session has a different lesson. Friday’s lesson was ‘Sink or Float’. The kids had a blast learning about items that could sink or float! 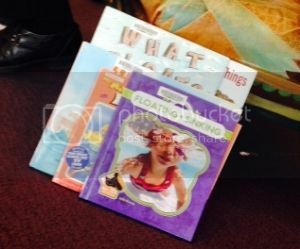 We first listened to a couple of stories explaining why some items may sink or float. Then we did a hands on activity to discover for ourselves, what sinks or floats. Our teacher brought in a large tub full of water and several different items such as: a plastic spoon, penny, balloon, CD, and more! She placed two signs up on the walls, in separate areas of the room. One sign read ‘sink’ and the other sign read ‘float’. Before she placed the item in the tub, the kids had to go stand by the sign that read what they thought would happen! Not only was this a good learning experience, but it also got the kids up and moving! 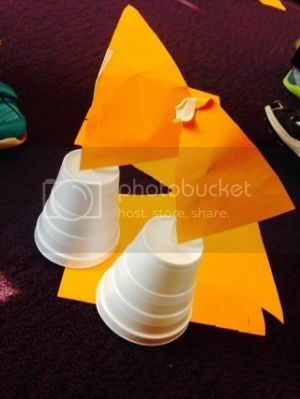 After the activity the kids were able to create their own sail boats using foam cups and/or trays, a dowel, paper, and tape. The kids enjoyed cutting and taping and creating their own boats that would sink or float in the tub of water. 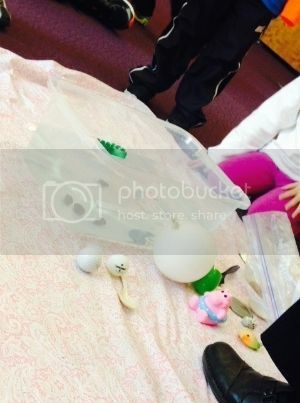 Some kids also experimented with placing items on their boats, to see if it would still float. 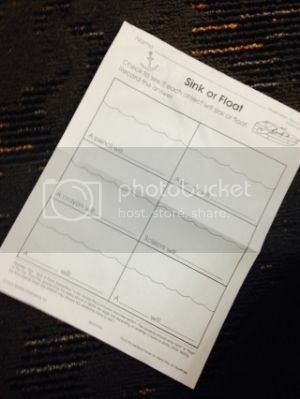 The kids were also given a worksheet to take home to extend their learning! I highly recommend Science Sleuths! This is a FREE class! It is designed for children ages 3 years to 6 years, accompanied by an adult. I was also able to bring Amelia in with me. She enjoyed listening and watching 🙂 You must pre-register by calling 331-4490. Do not miss next months Science Sleuths!